Pizza in Santa Fe: So Many Toppings, So Many Beers! A night out at a pizza joint is no ordinary night. Pizza cravings are something that need to be taken seriously. And at Upper Crust Pizza, we know pizza. Whether you go with a simple pepperoni or if you go all out with sausage, peppers, mushrooms, and more, you can’t go wrong with the chewy crust and melty cheese. But what can make or break the meal is what you choose to drink with your pizza. For our underage guests, we highly recommend an iced tea or a cold glass of milk to cool your mouth down after each steamy bite. For those who are able, a refreshing beer is exactly what it takes to complete the night. If you’re looking for the best pizza in Santa Fe and beer to match, come visit our restaurant tonight. Bite into this fresh pizza with robust cheese and a healthy dose of tomato sauce and give your taste buds a refreshing finish with a cold drink. The delicate flavors of the classic margarita calls for a beer that has a slightly hoppy and malty flavor so it doesn’t overpower the pizza. Thick sweet cheese, acidic and rich tomato sauce, fresh basil, and spicy oregano can all pop with a beer that is fresh and crisp. Cleanse your palette with an American Pale Ale like the Sierra Nevada, a pilsner like Lagunitas, or a light Kolsch like Reissdorf. These beers are all light but with loads of flavor, much like the margarita itself. 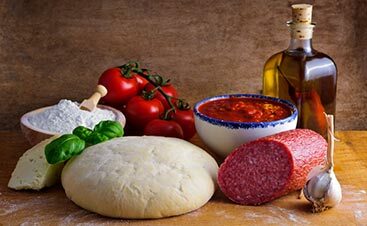 There are a few types of beer that do wonders to the flavors in your mouth when you bite into a spicy pepperoni pizza. If you enjoy bready maltiness of a pilsner, it will help balance the spices of the pepperoni and the acidity of the sauce. Try a Sam Adams Noble Pils or the Oskar Blues Mama’s Little Yella Pils. If you can stand up to the hoppy thrill, try an IPA that will cut through the spice of the pepperoni and balance the flavor in the crust. Our favorites are Firestone Union Jack IPA and Lagunitas IPA. This favorite pizza combination of earthy mushrooms and that wonderful sausage spice needs a hearty beer to go with it. Some beer drinkers who aren’t a fan of sweet drinks, may not be a fan of Belgian beers, but when pairing Goose Island Matilda, a Belgian Ale, with mushrooms and sausage, the caramel malt and yeast that has a slight fruity flavor, the balance of earthy, herbs, a touch of sweet, and just the right amount of hops will leave you basking in the delicious moment. 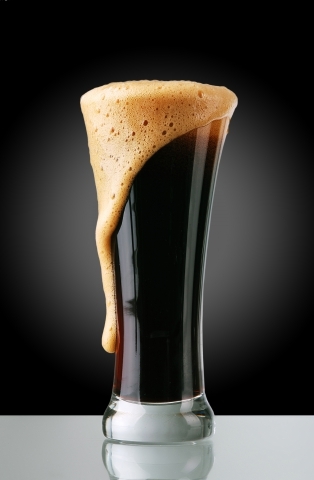 On the other hand, a darker beer (dark beer doesn’t always mean heavy) can add a depth of flavor to the meal and crust lovers will appreciate the flavor. Don’t be afraid of a pint of Guinness. 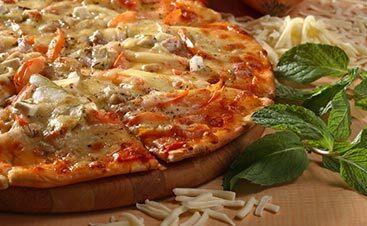 A much different flavor profile than the previous pizzas, this bright and juicy pizza still packs a punch with delicious, salty cheese. There are two routes you can go with this beer pairing. The first option is to match the fruitiness with a fruit flavored beer. Blue Moon has a hint of orange that will bring out the citrus in the pineapple. Don’t want to go too fruity? The second option is to try a chocolate porter. Odell’s Cutthroat Porter has just the right amount of chocolate flavor to not be overwhelming, but you can imagine how tasty a chocolate covered pineapple would be. 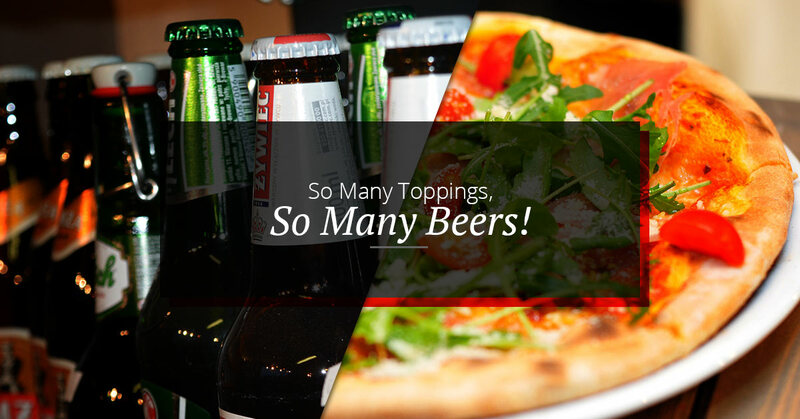 Whether you come into our Santa Fe pizza restaurant and try one of our draft beers, or if you grab a six-pack on your way home and order pizza delivery, combining the bready crust with a cold, delicious beer, you won’t be disappointed. Try one of these pairings or get creative and try your own, there’s one thing about pizza lovers, we don’t judge. 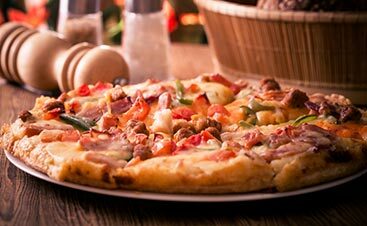 Make sure you’re hungry when you come in tonight so you can enjoy a hot slice and a cold beverage.